I acquire a lot of books. My mother receives all my Amazon packages in Philadelphia, so I’m sure she’ll confirm this statement—and those are only the physical books that I buy! My Kindle gets fed on a regular basis, too, and book publishers often send me review copies of new titles so I can write about them. And when I’m in the U.S., I usually make a weekly trip to the library and its used book shop. Still … I want more. But even I have to admit that my eyes are often bigger than my stomach when it comes to book purchases. There are books that I am so excited about reading that I pre-order them, only to be so busy with other stuff when they arrive that the volumes sit untouched for months. Most of the time, my main reading opportunities these days are while I’m eating lunch and/or dinner, so I move through books slowly and don’t have a prayer of keeping up with my acquisitions. I used to read before falling asleep, but now that I spend the majority of my days reading and writing, my eyes are too tired at night to focus and I often drift off listening to podcasts instead. 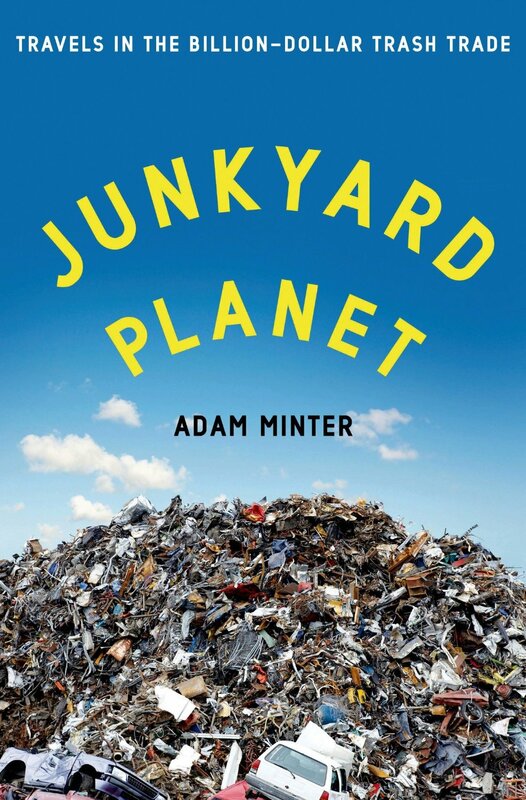 Junkyard Planet: Travels in the Billion-Dollar Trash Trade by Adam Minter – I’ll start by cheating a little, because I am virtually positive that I’ll read Junkyard Planet before 2013 is over; my copy is already waiting in an Amazon box at my parents’ house. Shanghai-based journalist Adam Minter traces the global recycling trade and explains the sometimes surprising story of what happens to our old cell phones and computer monitors, Christmas tree lights and discarded paper. Susan Jakes has a long review of Junkyard Planet up at the LA Review of Books. India After Gandhi and Gandhi Before India by Ramachandra Guha – I saw Guha deliver a masterful keynote address at the Association for Asian Studies annual meeting in 2011, which I think was a preview of his new Gandhi biography (already released in India, coming in April to the United States). I’ve heard a lot of praise for his India After Gandhi as well, so I bought that at the same time I pre-ordered Gandhi Before India. Teardown: Memoir of a Vanishing City by Gordon Young and Detroit: An American Autopsy by Charlie LeDuff – This pair of books, one about Flint, MI, the other focusing on Detroit, both consider the rise and fall of America’s industrial cities. Having grown up in Philadelphia, that’s a subject I know about firsthand. I’ve read and re-read Buzz Bissinger’s profile of 1990s Philadelphia, A Prayer for the City, more times than I can count, and these two books look like good follow-ups to that. Book of Ages: The Life and Opinions of Jane Franklin by Jill Lepore – I read an interview with Harvard historian Lepore at the LA Review of Books last week and immediately tweeted, “Damn, I want to be Jill Lepore when I grow up.” Lepore is both a model historian and an outstanding writer, who carefully excavates lost historical narratives from small scraps of archival sources. Book of Ages tells the story of Jane Franklin, Ben’s sister, a woman who is virtually unknown and yet corresponded constantly with her internationally famous brother. 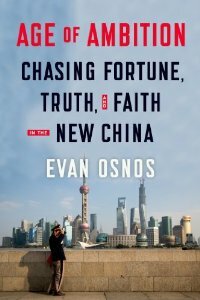 Age of Ambition: Chasing Fortune, Truth, and Faith in the New China by Evan Osnos – Osnos is the former Beijing bureau chief for the New Yorker and one of the sharpest China writers around today. His book will be released in May and is already generating a lot of buzz; for a taste, check out “The Evan Osnos Exit Interview” in the Sinica Podcast archives. It’s one of their best episodes ever, and I’ve listened to it at least four times already. Leftover Women: The Resurgence of Gender Inequality in China by Leta Hong Fincher – This is a forthcoming title in the Zed Books “Asian Arguments” series, which publishes short, accessible works on newsy topics. Amazon tells me Leftover Women runs 192 pages, but I’d read a book twice that length for Hong Fincher’s take on gender inequality in contemporary China. She’s written a number of shorter articles and commentaries on the topic (like this one in Dissent magazine) and knows it better than anyone out there. The Interestings: A Novel by Meg Wolitzer – As might be evident from this list, I don’t read a whole lot of fiction. But I’ve heard great things about this novel. 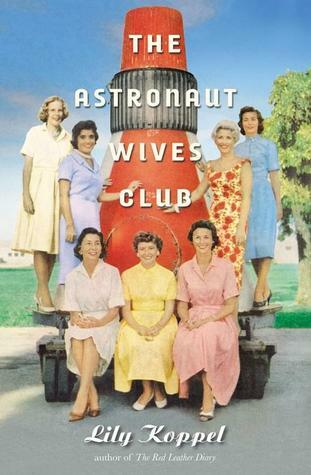 The Astronaut Wives Club: A True Story by Lily Koppel – It is entirely possible that I’m judging a book by its cover, but the fun retro photograph on this one is great. The wives of America’s first astronauts found themselves launched (haha) into fame almost overnight; while their husbands were riding rockets into space, the women were earthbound, left to deal with the press and worry about what would happen if their spouses didn’t make it back home. Koppel tells the story of their fifty-year friendship. China’s Second Continent: How a Million Migrants Are Building a New Empire in Africa by Howard French – Another long-awaited book coming in May 2014—China-watchers are going to be busy reading all spring. French is the former Shanghai bureau chief for the New York Times and has been researching Chinese investment in Africa for a number of years now. Like Hong Fincher, he’s been publishing excellent articles on the topic (here’s one from 2010 that appeared in The Atlantic) that have whetted my appetite for the full book. 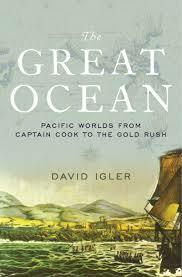 The Great Ocean: Pacific Worlds from Captain Cook to the Gold Rush by David Igler – Igler is a professor of American history at UC Irvine, and his book on 18th- and 19th-century Pacific Ocean voyages sounds incredibly impressive to someone whose research focuses on a single city. 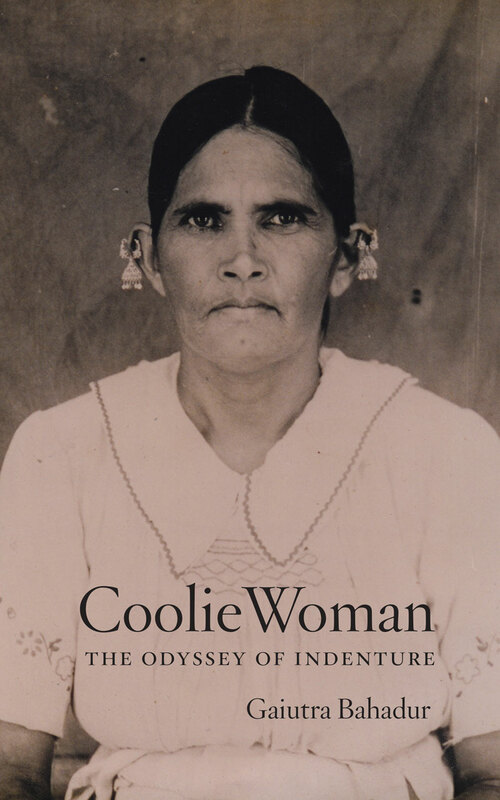 I don’t know much about Captain Cook or Russian traders on the West Coast, but I’m looking forward to learning more about them very soon. Tide Players: The Movers and Shakers of a Rising China by Zha Jianying – This is the oldest book on my list, but I’ve skipped over it for years and I don’t know why. I really enjoyed China Pop, Zha’s book of essays on popular culture in 1990s China, and lots of people whose opinions I trust say good things about Tide Players. So I’m making it a priority to finally get it out of my to-read pile in the coming year. If I’m organized enough, I’ll write a post here about each book as I read it … but we probably shouldn’t count on me being that on top of things. 2014 is going to be one hell of a busy year. * I have to include a disclaimer here about the fact that I am friendly with a number of these authors, at least of the China books. No one has asked me to promote his/her book, and I haven’t received free copies of anything. I just like to hang out with smart people who write good stuff. Good list! Just remember that you can never overfeed a Kindle; it is the one constant ally no matter where you find yourself. (Sure beats reading old issues of People magazine in the dentist’s waiting room! Or anywhere, for that matter…..).